Vienna, VA – Team Cougaar, established by Cougaar Software, Inc., today announced its official entry into the IBM Watson AI XPRIZE®, a global competition challenging teams to develop powerful Artificial Intelligence (AI) based applications and demonstrate how humans can collaborate with AIs to tackle the world’s grand challenges. Team Cougaar, headquartered in Vienna, VA, USA, is among 147 teams from 22 countries that are competing for the $5M prize purse. Team Cougaar’s goal is to vastly improve the performance of major natural disaster response efforts in terms of speed and effectiveness of the response, reduction in lives lost, injury complications and disease, and increasing the rate of recovery for impacted communities. With the implementation of the AI-enabled global disaster response network, response time for planning will be reduced from days to hours, time to get services in place may be reduced from weeks to days, and the costs of response may be cut by 30-50%. The key is to get organizations to collaborate more effectively, coordinating activities, sharing information and resources efficiently, and orchestrating individual response efforts for maximum benefit to the affected communities. Team Cougaar will apply AI to overcome the vast complexity and uncertainty inherent in planning and coordinating disaster response efforts. AI-enabled planning and execution management works with planners and managers across organizations to improve the planning, coordination, orchestration, and execution of disaster response activities, allowing dozens of diverse, disparate, and widely distributed organizations to effectively respond to a major natural disaster. It is the team’s vision that governments, NGOs, military, commercial, and private citizens can work together using AI-driven shared situational awareness of government and NGO resources (e.g. locations and readiness) for dynamic orchestration to reduce the impacts and speed the recovery globally. The originality of Team Cougaar’s solution lies in the combination of a robust distributed agent architecture and numerous proven and emerging AI planning and reasoning techniques. This combination allows software agents and human users (agents) to collaboratively address complex and dynamic sets. With this technology, software agents mimic human cognitive decision making and selectively apply specialized techniques to address each specific part of the disaster response problem. For more information about team Cougaar, please visit www.cougaarsoftware.com. 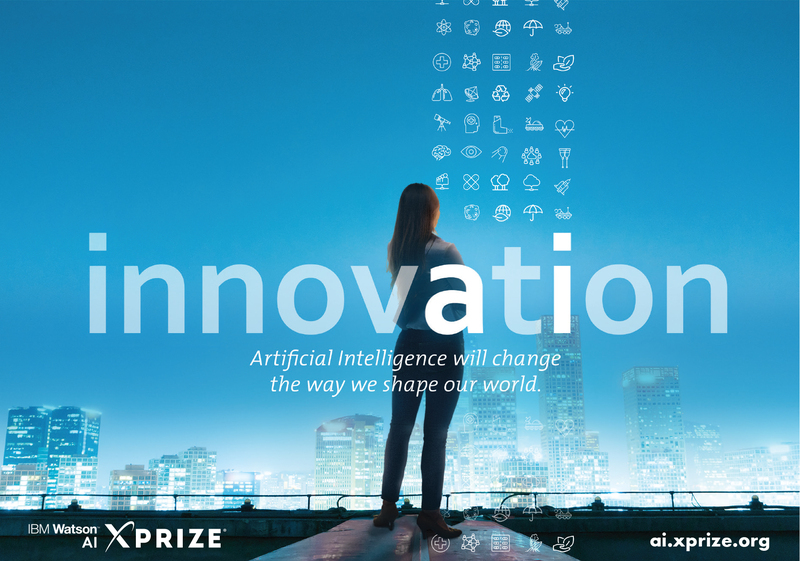 For more information about the IBM Watson AI XPRIZE, visit ai.xprize.org. For more information about Team Cougaar, visit www.cougaarsoftware.com/teamcougaar. XPRIZE, a 501(c)(3) nonprofit, is the global leader in designing and implementing innovative competition models to solve the world’s grandest challenges. XPRIZE utilizes a unique combination of gamification, crowd-sourcing, incentive prize theory, and exponential technologies as a formula to make 10x (vs. 10%) impact in the grand challenge domains facing our world. XPRIZE’s philosophy is that—under the right circumstances— igniting rapid experimentation from a variety of diverse lenses is the most efficient and effective method to driving exponential impact and solutions to grand challenges. Active competitions include the $30M Google Lunar XPRIZE, the $20M NRG COSIA Carbon XPRIZE, the $15M Global Learning XPRIZE, the $7M Shell Ocean Discovery XPRIZE, the $7M Barbara Bush Foundation Adult Literacy XPRIZE, the $5M IBM Watson AI XPRIZE, the $1.75M Water Abundance XPRIZE and the $1M Anu & Naveen Jain Women’s Safety XPRIZE. For more information, visit http://www.xprize.org/.